If you took or are taking Levaquin and suffered serious side effects, you may have grounds for a lawsuit. To find out more about your legal rights in this regard, contact my law offices. As an attorney, I have experience with Levaquin lawsuits and can offer you informed guidance and advice to help you make the right choices about your case. Levaquin (generic brand levofloxacin) is a type of antibiotic in the fluoroquinolone class. These antibiotics have recently come under scrutiny for their potential to cause tendon damage or rupture. The particular areas of the body that may be affected include the Achilles tendon, biceps, hand, thumb and rotator cuff. In 2008, the FDA (Food and Drug Administration) ordered a black box warning to be added to fluoroquinolone drugs, including Levaquin. This is the most serious warning that can be included on a pharmaceutical product, emphasizing the particular risks associated with the drug. A patient who experiences adverse side effects of Levaquin may be incapacitated due to tendon rupture and may require extensive surgery. This may lead to exorbitant medical bills, missed work and the possibility that the patient will be unable to work in the same field or partake in activities that he or she once enjoyed. The FDA database reports that there have been a total of 795 reported cases of tendonitis, tendon rupture and other tendon disorders. Of there, 262 were tendon ruptures, and 61% of these were reportedly caused by Levaquin, with another 23% caused by Cipro (another antibiotic in the fluoroquinolone class). It is important that you do not wait to consult with a Personal Injury lawyer regarding tendon injuries that may be caused by Levaquin or another antibiotic. 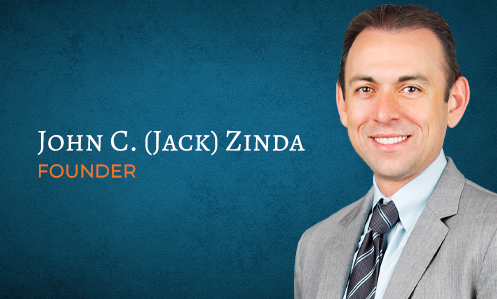 For a free review of your case, please contact our legal team at Zinda Law Group PLLC today.